Jake Jensen has just taken out the Battle of the Paddle-style race on Day 2 (Sunday) which, combined with yesterday’s results, gives him the overall 12 Towers championship title. Kelly Margetts finished 2nd today ahead of Beau O’Brian, while yesterday’s big winner Titouan Puyo finished down in 6th, showing that waves are perhaps his achilles heel. 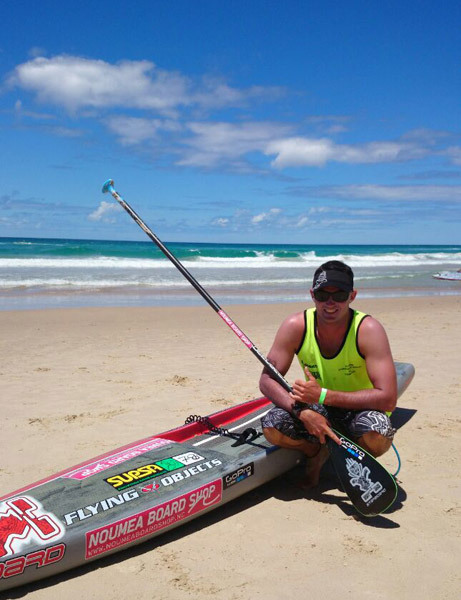 Titouan Puyo WINS Australia’s biggest SUP race! The Frenchman has upset a whole bunch of local hotshots to claim a narrow victory. Titou beat his Starboard team mate Beau O’Brian by just a few seconds to take a memorable win and prove his victory over Eric Terrien in France a few months ago was no fluke. What a performance. I think we’ll be seeing his name on a lot more podiums this year. It was a tough but fun race. Winds were light but at least blowing in the right direction, so there were still a few bumps to be found. Full recap coming soon. In the meantime here are the full results. SATURDAY UPDATE (10:00am): Race starts in an hour. Winds light but at least blowing in the right direction. Gonna be a bit of a slog out there… Check back in a few hours for results. 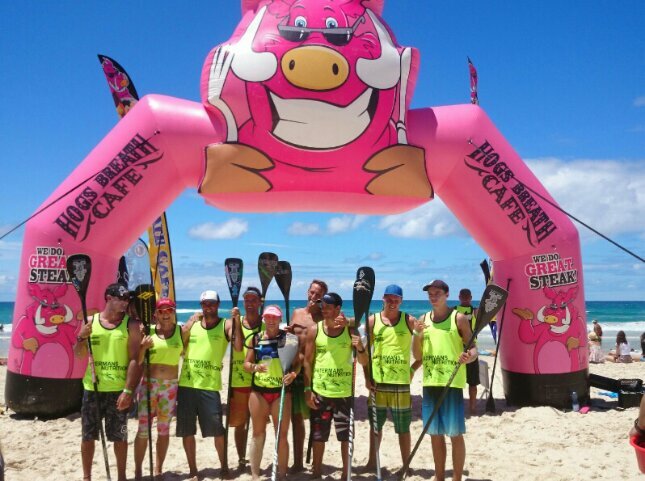 FRIDAY EVENING UPDATE/RACE PREVIEW: Probably the single biggest race on the Aussie calendar, the 12 Towers Ocean Paddle Festival on Queensland’s Gold Coast, is happening this weekend right now. While Australia has arguably the strongest roster of SUP athletes out of any nation, its events have always been sorely lacking. That’s slowly starting to change though, with events such as The Doctor in Perth and now the 12 Towers on the Gold Coast starting to build into big races. The 12 Towers, now in its third year, attracts a higher level of competition than any other SUP race in the country, with Travis Grant having won the first two editions ahead of guys like Jamie Mitchell, Beau O’Brian, Jake Jensen, Lincoln Dews, Paul Jackson, Kelly Margetts and so on. 2014 should be the biggest year yet and although Trav and Jamie are missing, there are plenty of guys hungry to step up and take over their spot at the top. I can see it being a battle between the well-traveled global athletes such as Jake, Beau, Jacko and Kelly, though there will be a few up-and-coming Aussie dark horses looking to cause an upset. However one of the biggest wildcards might be the Frenchman Titouan Puyo, who famously came out of nowhere to beat Eric Terrien at the French Nationals late last year and who has flown in from his home island of New Caledonia for this event. Apparently Tito is a downwind master, so if the wind turns on he could be right up there. Meanwhile the women’s race will be an all-star battle between Australia’s finest, though I think it’ll come down to a fight between Karla Gilbert and Angie Jackson. Saturday sees the 12km downwinder (if the winds play along) while Sunday it’ll be a BOP-style race plus a unique ‘Dash For Cash’ sprint. But no matter who wins, we’ll have updates from the beach as it happens (or as soon as I limp across the finish line and post an update).